The popularity of Benjamin West owed entirely to the patronage of King George III of England and his project for the Chapel of Revealed Religion at Windsor Castle (1780-1801). 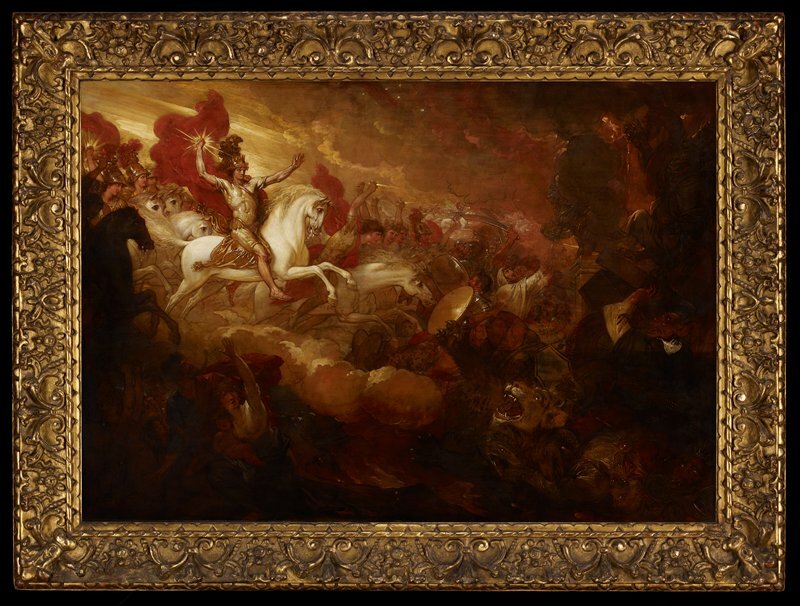 West exhibited this picture, also known as The Messiah on a White Horse, at the Royal Academy in 1804, and later claimed that the subject was conceived for the Revealed Religion project, although a larger version never materialized. The principal figure is the heroic rider of the Book of Revelations, often identified as the Messiah. The painting probes the extent to which the apocalyptic sublime can introduce the grotesque without being overwhelmed by it. von Erffa and Staley: 410.